We're taking a break to travel Lesotho, South Africa, Swaziland and Mozambique. We'll be bringing a new range of vibrant fabric to the shop soon. Follow us on Instagram to find out what's coming soon! Don't worry, our founder made a tutorial video for you! Check out our homepage for the only tutorial video you'll ever need, and check out the Instagram for other helpful videos and tips. 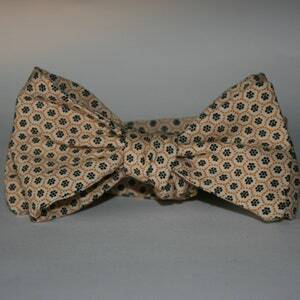 Ideal for a collar size between 14.5 and 16.5 inches. Need a different size? 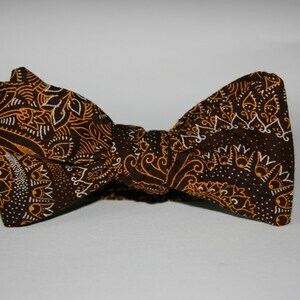 Shoot us a message and we can create a custom tie for you, generally shipped out in 24 hours. Our ties are sewn in Lesotho, a small kingdom surrounded by South Africa. 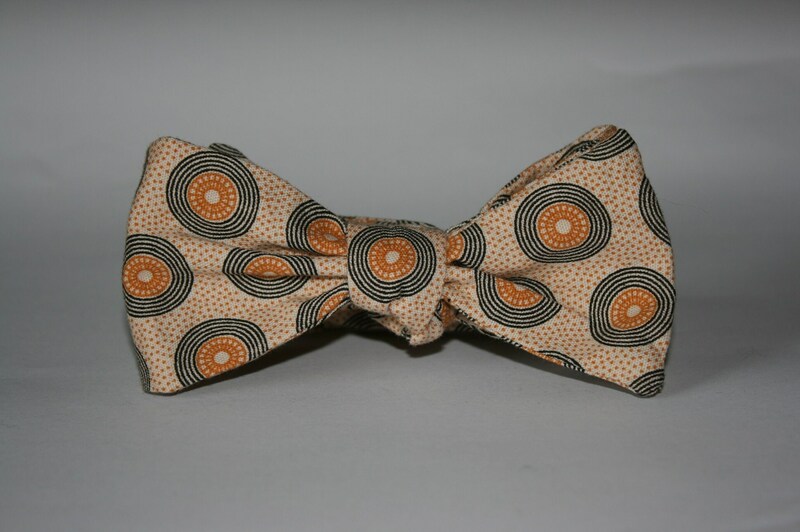 We use shoeshoe (pronouced "shway-shway") the traditional fabric of Lesotho to create something beautiful and unique. We only make small batches, and our patterns change seasonally. So don't wait to snag your favorite pattern, it may not get printed again for years! Custom orders are sewn by our designer in New Orleans, Louisiana with fabric he's brought back from his travel throughout southern Africa, but everything in the online inventory is sewn in Lesotho unless otherwise specified. 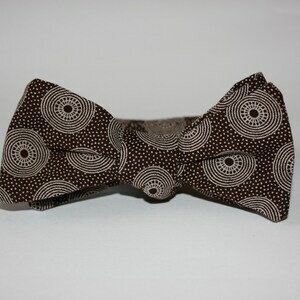 All our bow ties will fit a 15.5 - 17 inch collar beautifully. Message me to inquire about custom sizes. We will have adjustable sizes by October 2016. The necessary pieces are not available in Lesotho so a crew is training to make them in house. We do offer wholesale options. We wouldn't be able to thrive without our amazing stockists. Please reach out to us and we'll get back to you with our wholesale offerings. 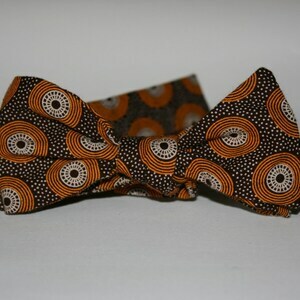 These are two spellings for the same material, the South African cotton print textile we use. In South Africa and most other countries the word is spelled Shweshwe, more in line with its pronunciation. In Lesotho we spell it Shoeshoe because the textile was named after Moshoeshoe, the first king of Lesotho. This is the local, Sesotho spelling. So we respect the culture of the nation where we do our work, despite that the rest of the world outside the Mountain Kingdom spells it differently.